Haha. I even went off to buy an ice-cream before I got stuck in! God, I admire your work ethic, Oobop. You are relentless! When I’m that shattered, I can’t do a thing. I had a friend who went to Fleetwood Mac on Friday. O2? Love that gingham – it’s everywhere right now. I keep wanting to find a really big gingham and make something. Think I have that pattern! 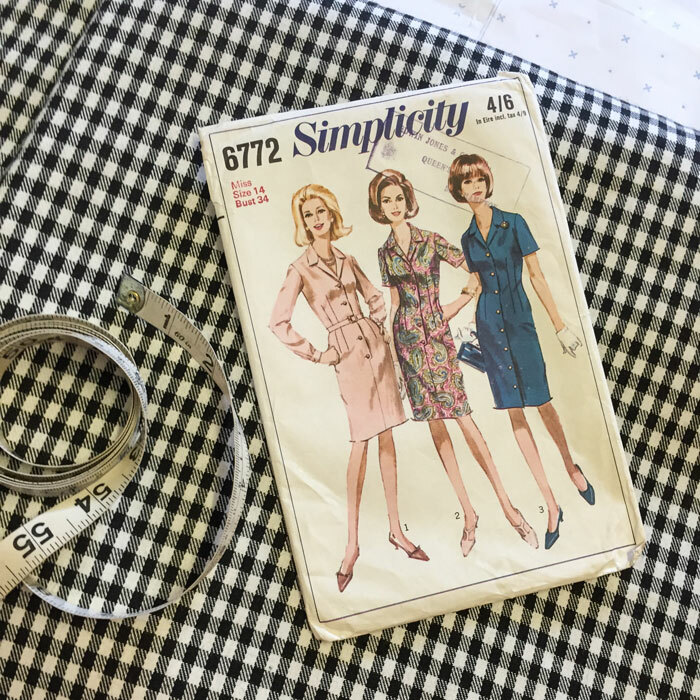 It never occurs to me that you can grade single size vintage patterns. Why have I never thought of that? I am impressed by your get up and sew! Looking forward to seeing it sewn up. Thank you. It involves a bit more effort. Much easier with multisize but vintage patterns are always single size apart from the repro ones. Fingers crossed it works! well done you. I manage to procrastinate with laundry and dishes and cups of tea well past 9:30 am! I agree with you that there are so many other things to do than sew. 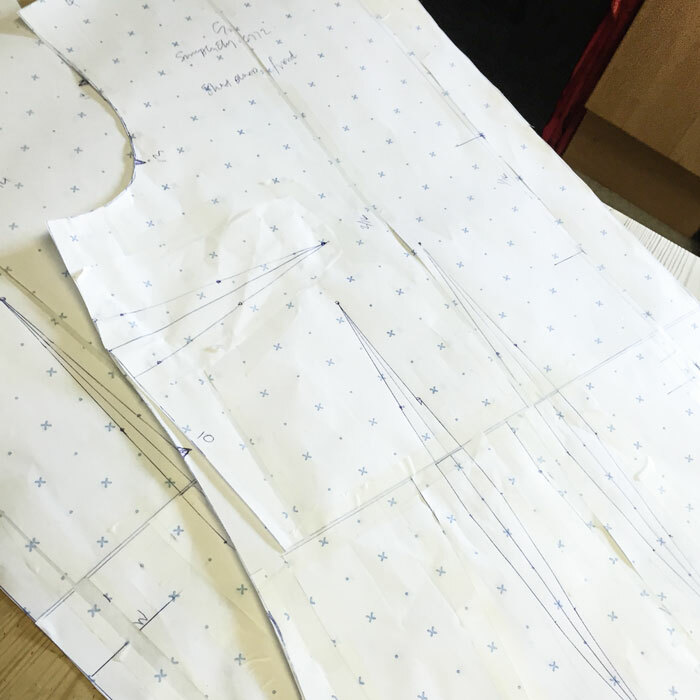 And pattern alterations can just seem like so much work. But they need doing, and they need doing well. I hope you can take a breath between your hectic social life and getting started on this pattern. I’ve never been brave enough to grade to that extent, looking forward to seeing how it works out. Love that gingham and oh yes, Doris Day capris would be fantastic on you. I LOVE the gingham, too. I can’t wait to see your finished dress. 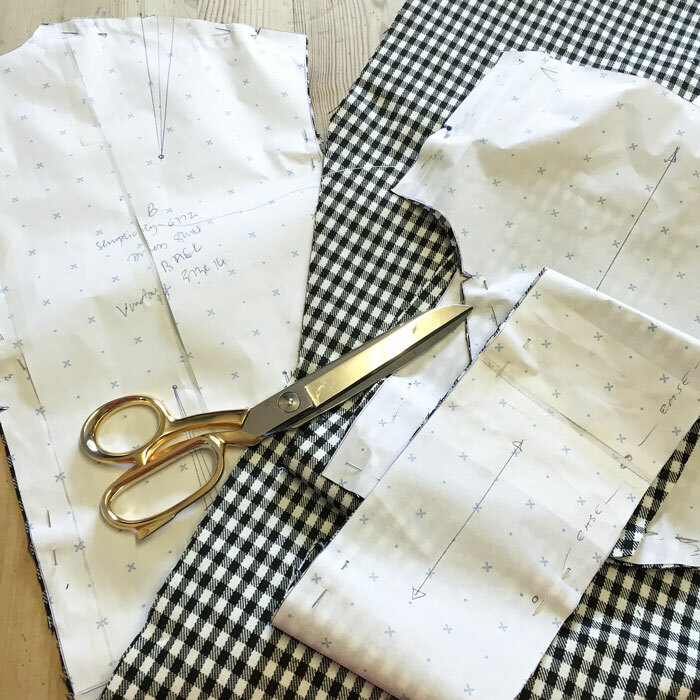 I have some black and white big gingham, just waiting for the right dress pattern to come along. I was wondering if you might be interested in participating in Refashion Runway: Season Three.